Welcome to your worst nightmare… Oh, do not worry. I am joking. Everything is completely okay. Just wanted to remind you that Halloween is almost here. This means that witches are ready to go riding. Black cats are ready to cross all of the roads. 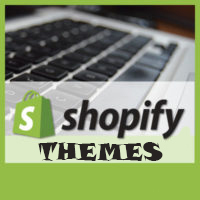 Get 22% for all Shopify templates from TemplateMonster Marketplace. Just have a look at how you could decorate your Shopify store with awesome templates ideas.